JEDDAH, SAUDI ARABIA - Man of the moment Yosuke Ideguchi is refusing to get carried away by his heroics against Australia, but hopes to get another chance to shine by retaining his place in the starting lineup for Japan’s final World Cup qualifier away to Saudi Arabia on Tuesday. 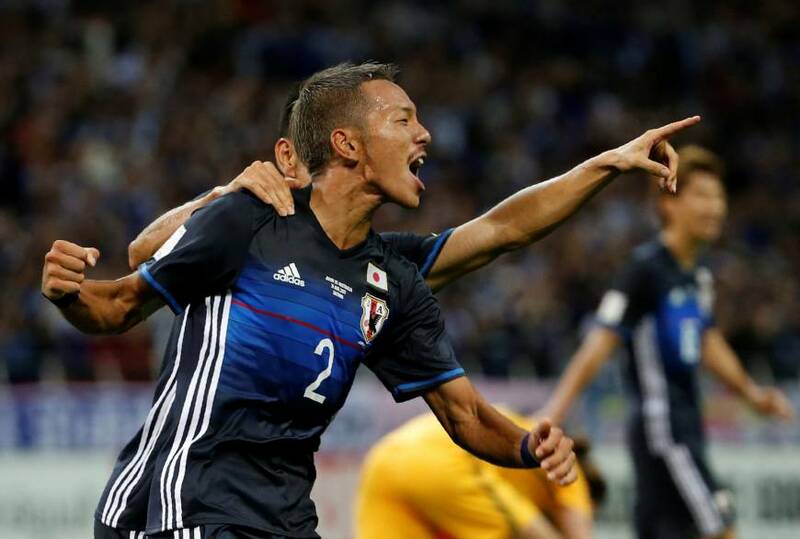 The 21-year-old Gamba Osaka midfielder stole the show in Saitama last week by opening his Japan account with a fabulous late strike to seal a 2-0 win against the Socceroos, a result that earned the Samurai Blue a place at next year’s finals in Russia. With Japan now having little except pride riding on the Saudi game, coach Vahid Halilhodizic is expected to make a number of changes to the team. 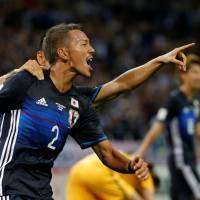 Though Ideguchi looks likely to make his third straight start, after training Sunday he mainly spoke of improvements he needs to make as competition for places on the final 23-man World Cup squad begins to heat up, starting with the game against the Saudis. “(In the Australia game) I was slow switching between defense and attack and that is something I need to fix,” said Ideguchi, whose ball-winning attributes, stamina levels and darting runs have impressed Halilhodzic. “(Those qualities) are what the coach wants from me. They are my strengths and what I want to keep on showing,” he said. Asked if he is confident of making the cut for Russia, Ideguchi said, “At this moment in time no way, but I just want to show quality and keep improving in defense and attack. Captain Makoto Hasebe played a full shift in his Japan comeback against the Australians but has withdrawn from the squad to rest the right knee he had surgery on in March. Hotaru Yamaguchi could start again, this time in Hasebe’s position in front of Ideguchi and possibly Getafe’s Gaku Shibasaki, who is looking to make his first national team appearance in nearly two years. “It’s not that I want to show how I have improved. I want to express myself as the player I am at this moment,” said Shibasaki, who took time to adjust in Spain but recently signed a four-year deal with promoted Getafe in July.